Christine Damko is the Economic Development Analyst for the City of Temecula and I had the exquisite privilege to interview her for IVBCF. Christine is a dynamo and the driving force behind Temecula’s highly successful retail recruitment efforts. Ms. Damko is an excellent representative for the City of Temecula! She has worked at City Hall for 12 years, and in 2008 she was approached by the City Manager to lead the Economic Development Office. Ms. Damko earned her Bachelors degree in Public Administration with an emphasis in Public Planning and she earned her Masters degree in Public Administration from California State Dominguez Hills. She started off as a planner for the City of Temecula and had many innovative ideas for improving communications and bringing top-line retail stores to the City. She also is the brain-child behind the “Good Day Temecula” TV Show which airs on the local cable channel and is also viewable via YouTube. She knew that the City needed to work hard to appeal to and communicate effectively to every demographic – including Millennials who garner their news by watching YouTube as opposed to conventional television stations. Christine has several goals that she wanted to attain for the City such as attracting top-notch businesses, retaining the excellent businesses that the City of Temecula currently holds on its roster, and increasing community engagement. She innately knew that to attain these goals she needed to use effective communications to share the facts about important projects and also dispel the rumors that also abound in a small community. The innovative communications that she wanted to employ also had to fit within the city’s tight and frugal budget as they are highly concerned about making sure that every dollar is accounted for and used effectively to improve city operations and community satisfaction. Which leads to the annual IVBCF Spring Fashion Show . . . the fashion show is the brain-child of Marie Waite, the founder of IVBCF (the Inland Valley Business and Community Foundation, a 501c3 non-profit organization) who had a vision to promote the retail stores in Temecula and provide a venue to showcase their latest fashions thereby increasing sales and retaining top retail outlets. Marie approached Christine to be a possible model and spokeswoman and Christine wholeheartedly embraced the idea of the fashion show. She instantly recognized that the vision of the Temecula Fashion Show was a solid way to retain top retailers, support them, and boost their ability to sell and stay in business! After observing several years of IVBCF successfully producing a high quality fashion show, and participating in some of them, Christine took a bold step and approached the City Council of Temecula about backing it and throwing the Temecula name behind it; the annual show became a series of top-quality fashion shows over three days and was re-named Fashion Week Temecula, Presented by IVBCF. The premise of Fashion Week Temecula and the individual Fashion Shows is not only to support local retailers but also raise money for scholarships for local high school students who need the communities’ backing to fulfill their dreams to achieve a post-secondary or college education. The City Council was convinced that Fashion Week Temecula, presented by IVBCF met the requirements of an event that was not only highly reputable, professional, and supportive of local businesses, but also one that achieved a higher and loftier goal of supporting local students so that they could achieve their educational dreams! The IVBCF Spring Fashion Show is now in its 5th year and has supported several local high school seniors in their dream to go to college. Fashion Week Temecula, presented by IVBCF, will include three amazing fashion shows. It kicks off with Fashion in the Vines scheduled for April 14th @ 5pm at Leoness Cellars Winery, then the main event, Cars and Couture on April 15th at Fletcher Jones Mercedes-Benz of Temecula, and concludes with the Fashion Promenade on April 16th at the Promenade Temecula Mall; to buy tickets to go to: http://fashionweek.ivbcf.com. So, I had to pry and ask – (inquiring minds want to know!) – what are some of the future initiatives for the City of Temecula? Ms. Damko was quick to outline some of the major initiatives that are coming down the pike for the City of Temecula – (besides getting a Whole Foods Grocery Store) – the city hopes to continue to foster a farm to table movement with local agricultural producers and increase the number of restaurants like E.A.T and Goat and Vine. Other industries that are a focus for Temecula are of course the manufacturing sector, technology and bio-tech sectors, and Tourism. So Temecula’s future is bright especially when it is being steered by the likes of innovative city visionaries such as Christine Damko. 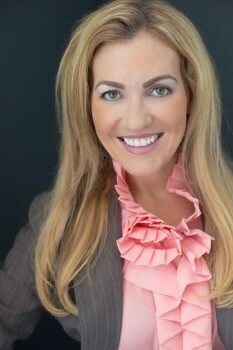 IVBCF is also known as “INLAND VALLEY BUSINESS COMMUNITY FOUNDATION” can be found at http://www.ivbcf.com and is led by chapter CEO, Marie Waite. IVBCF is a California non-profit corporation that provides a platform for local business owners to engage, promote and support the development of each other's businesses while fostering goodwill in the local community.